...in time! It's always fascinating to learn about other cultures. Last week the stars were aligned: good weather, day set aside for a "road trip" and a dose of culture. We were good to go! Boston was our destination. A drive east on the Mass Pike led us to the Museum of Science in Boston. 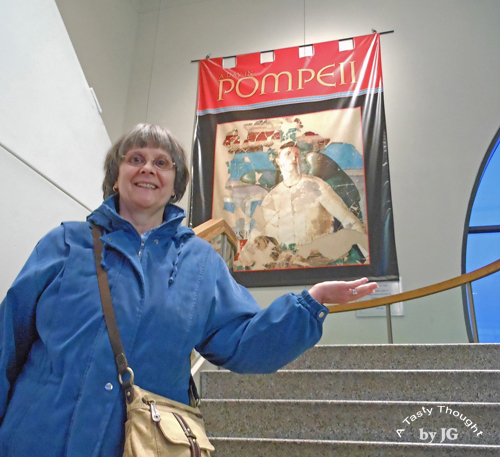 There is an incredible traveling exhibit on view until February 12, "A Day in Pompeii". Walking up the staircase brought my hubby & I way back in time to daily life in Pompeii before Mount Vesuvius erupted. By using an audio tour we added more pieces of knowledge about this ancient bustling city. During the Roman Empire by the first century C.E., Pompeii was a busy port on the Sarno River. Mount Vesuvius erupted on August 24, C.E and everything was covered with a thick layer of volcanic ash. In the 1700's Pompeii was rediscovered. Now, inquiring interested visitors to this traveling exhibit can view artifacts that were used in the kitchen, in fishing, in storing foods and in the marketplace - to categorize a few. Portions of fresco panels and garden statues are on view. This is a beautiful exhibit that will leave Boston and then travel on to Cincinnati, OH and onto Denver, CO this year. If you have an opportunity to stop in to view this step back in time, I encourage you to do so. The Museum of Science, Boston has the online "AN EDUCATOR'S GUIDE" to view/print before you visit. Very helpful! This is a delicious dinner on a cold New England night! A large added plus is that the extra Beef Stew is in our fridge. On today's busy afternoon/evening filled with NFL Football, dinner will be reheated. The extra Beef Stew tastes wonderful after it has "seasoned" in the fridge. Yes, we do have extra rolls for dunking! Forget the pizza! We're ready for Football! It was a great weekend and also cold! Not ideal for taking a walk, but there were other things on our agenda! We are always up for watching the Boston College Eagles Men's Basketball team and Saturday afternoon's ACC game brought a W! That quickly led to the NFL Divisional Playoffs! Sunday afternoon, again, we watched the Playoffs. Who had time to think about making dinner??? 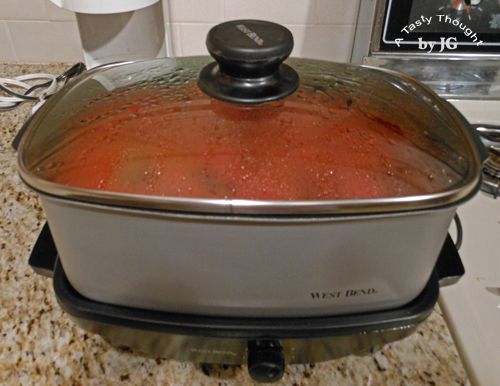 Sure "take out" could work, but my West Bend Slow Cooker is a great little appliance. 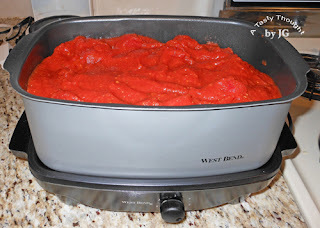 Chili made in the Slow Cooker is so good! Did I mention so easy? On Saturday evening during the Saints/49ers game we dined on the delicious hearty Chili that had basically cooked itself, with little help from me. Then came the game we in MA were waiting for - Tom vs. Tim! :) Sunday afternoon we were once again glued to our t.v. screen and also enjoying watching former BC Football players in the Divisional Playoffs. It's unusual for us to be just glued to the t.v. screen, but the Giants/Packers game took our attention. Dinner time rolled around - again. I was planning on a dish with chicken, but time just disappeared. 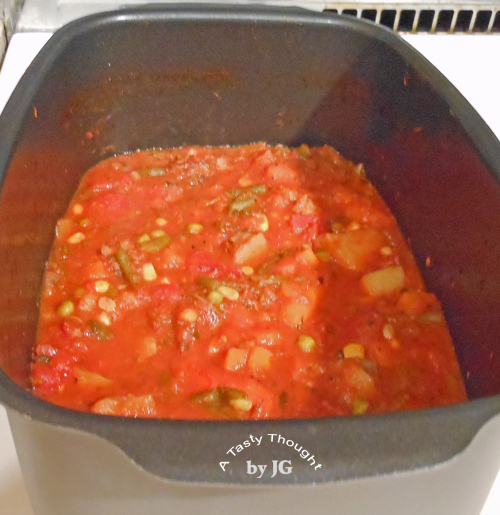 Ah, fortunately in our fridge just waiting to be reheated for dinner - there it was - the extra delicious Chili! This is a great meal to prep in a Slow Cooker or Crock Pot. My Slow Cooker has a nonstick surface, yet I do spray it lightly with PAM. I also brown the Ground Beef before placing it in the cooker's pot to reduce the fat content. After watching all of the games and enjoying ALL of our Chili, there are no photos to share. 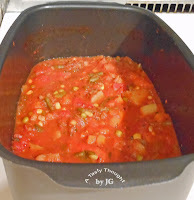 I can share that Chili tastes wonderful on a frigid day and it's very easy to prep this family fave! Drain Kidney Beans and rinse in cold water. Drain again. We enjoy our Chili with a dollop of Fat Free Sour Cream on top. Rye Bread is great for dunking! 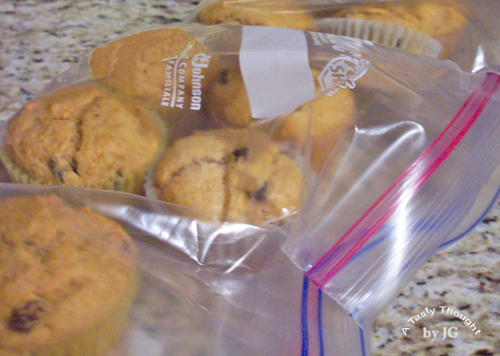 Oh do I ever wish that a Ziploc Freezer bag of these were waiting in my freezer! Butternut Squash Muffins with Raisins! I guess that I do have the next best thing: A Ziploc container with 1 Cup of the mashed tasty orange veggie in my freezer. That's a good second. After thinking about those Butternut Squash Muffins Noah Webster came to mind - yes, the gentleman who helped found Amherst College. History is fascinating and here is a Fun Fact! After Noah Webster graduated from Yale, he became a teacher. It was the time period after the Revolutionary War and the books that children used still came from England. Americans used words the people of England did not use and he wanted American school children to have a book containing words that they used. He included the words squash and skunk in his book, including definitions. These words were unknown in England. "Colour" was spelled "color". Many years later the Merriam Brothers in Springfield, MA purchased the rights to his 1841 edition. Today, the Merriam-Webster Dictionary is a household name! Click links for more info. Now, I'd best take the container of Butternut Squash out of my freezer and defrost it in the fridge! Combine first 6 dry ingredients in large bowl. Stir to mix. Add Soy Milk, Olive Oil & Butternut Squash to Egg Whites. Stir. Makings for a yummy hearty breakfast! It's winter! It's chilly outside! It's the perfect time to enjoy a steaming bowl of a hot hearty cereal for breakfast! 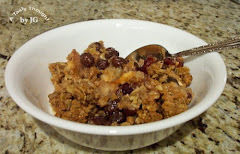 Creamy Craisin Oatmeal ranks right up there in the delicious department! The ingredients are always at hand in my kitchen - old fashioned Oats, Craisins, Milk (I use Soy Milk. ), Brown Sugar (to taste), Nutmeg & Cinnamon. 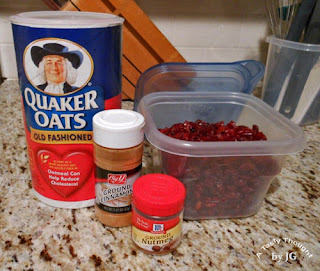 Quaker Old Fashioned Oats and Ocean Spray Craisins are staples in my kitchen - I purchase the large containers at Costco. O.K., you might ask why such a large quantity of Oats is purchased. Well, I use those hearty oats often! The large box of Quaker Oats contains two packages. When one is opened I repack it in my 5 small Quaker Oat canisters. Away into the pantry they go! The AM was cold & windy today - with no snow! A bowl of Creamy Craisin Oatmeal tasted great! The preparation was easy following the directions on the oat canister and also adding in the desired amount of Craisins + about 1/8 teaspoon of Nutmeg and of Cinnamon. *For a creamy oatmeal, place all ingredients in pot and let sit for 5 - 10 minutes, then prepare. Do you also like hot cereal on a cold morning?